All Itom cycle-attachemnt engines are hard to get hold of these days, and this model of the Itom engine is the rarest of them all. The company made them to be mounted in three different positions: behind the pedals, over the rear wheel, and over the front wheel. This one fits over the front wheel. The Itom was famous. 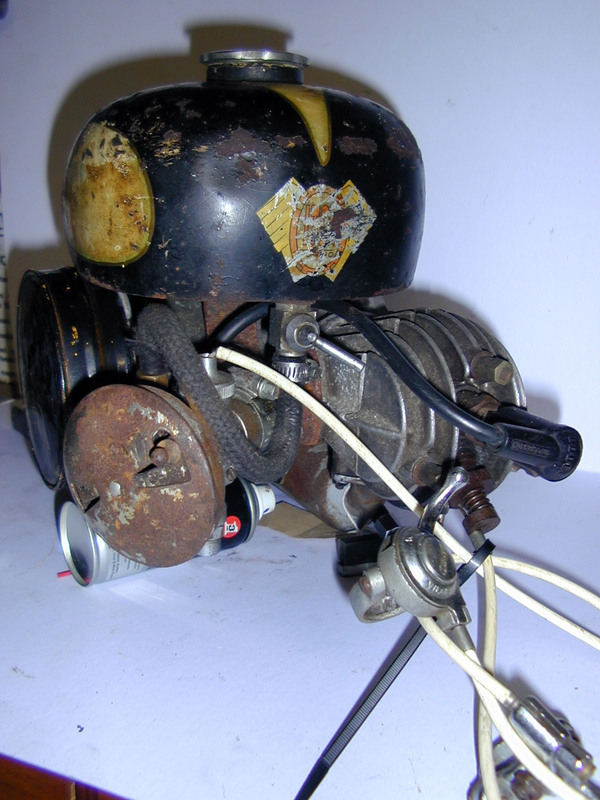 Later models have a special place in the hearts of 1950’s racing fans, as Mike Hailwood’s first trophy was at Blandford on 10 June 1957 for his 3rd place finish on a 50cc Itom. The Itom factory was founded in Turin by lawyer Corrado Corradi, and began production in 1948 at Via Francesco Millio, moving later to S.Ambrogio Torinese. 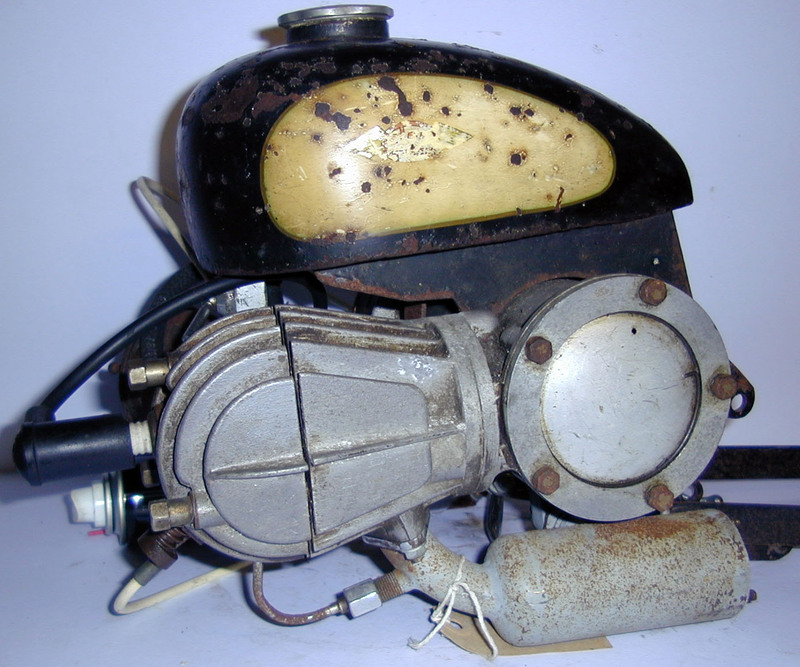 Their first product was an auxiliary bicycle engine (3 versions – one for front wheel – 2 for rear wheel – close to pedals or over the rear wheel).